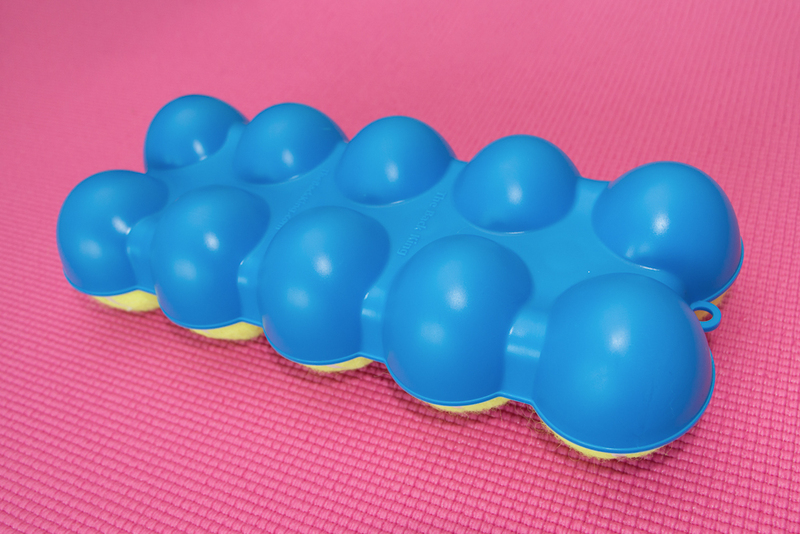 The Back King™ is an innovative, two-sided, self-massage tool, designed to release tension in the neck and back muscles. It applies direct pressure to tight and tender trigger points allowing them to release. Check with your doctor if you have any injuries or medical conditions before using The Back King™. 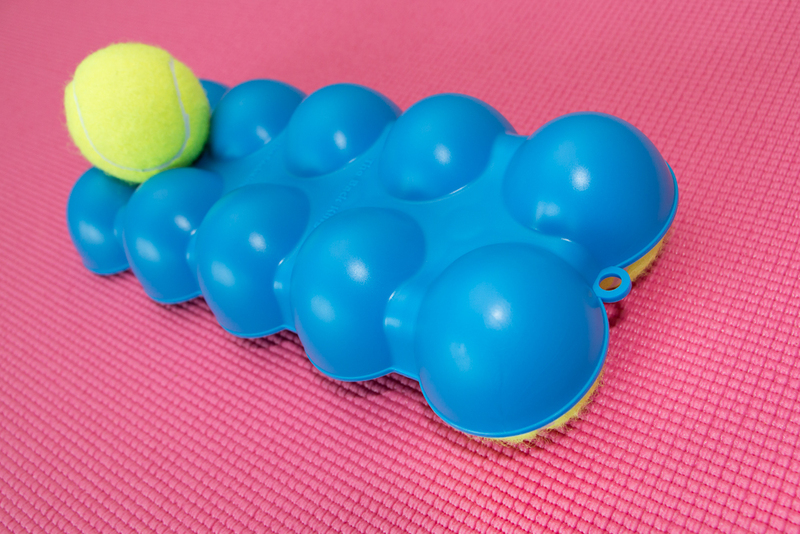 Gently lay on The Back King™ and relax - the bumps will melt into the areas of tension. The Back King™ uniquely provides two-sided operation. Use the product on a rug to stop it from sliding around. Note what areas need to be worked on by the tenderness under the bumps. Tenderness should decrease or be eliminated with regular use of The Back King™. It is normal to feel tenderness where the bumps make contact with tight muscles. If the tenderness is too intense for you, pad the bumps with a folded towel to your comfort. You also can use in a seated position for a lighter touch. 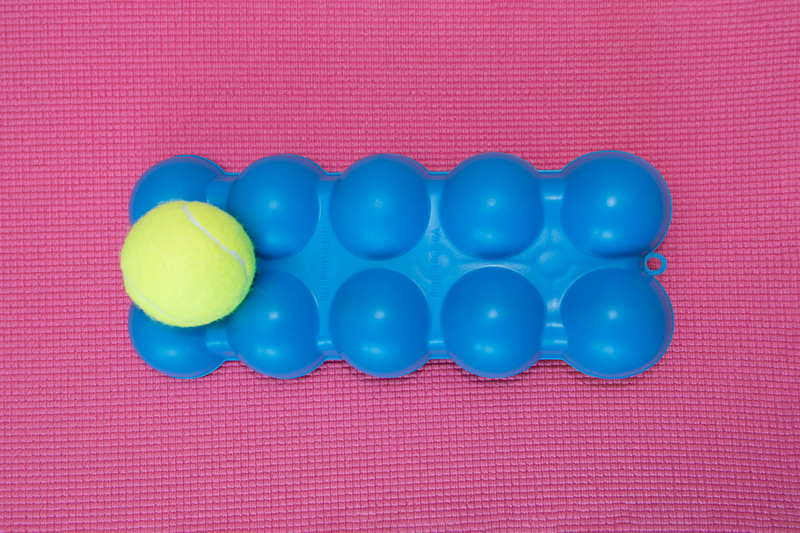 Only a few minutes is needed to release tense muscles. Stop using if you feel any numbness. This could happen if you stay on the bumps in one spot for too long. 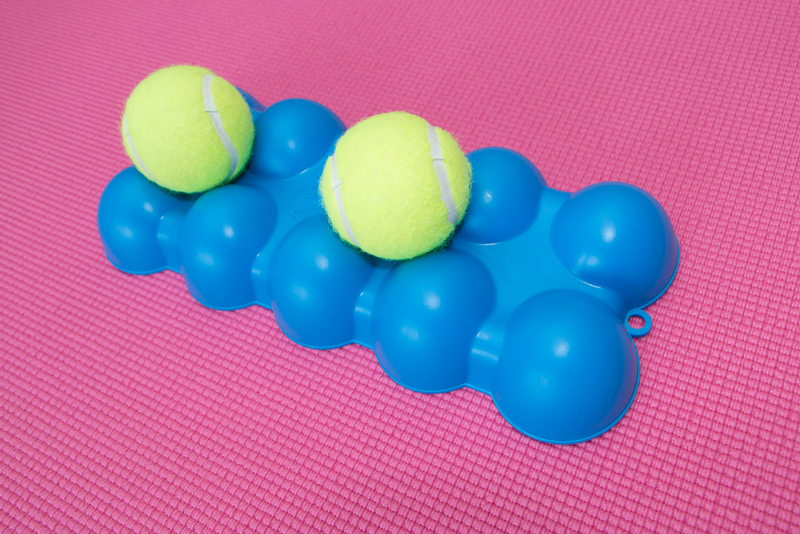 To focus on the lower back, create an incline using two or four tennis balls, and place The Back King™ under the lower back. You can also bend the knees with the feet flat on the floor, and slightly rock the knees side-to-side. 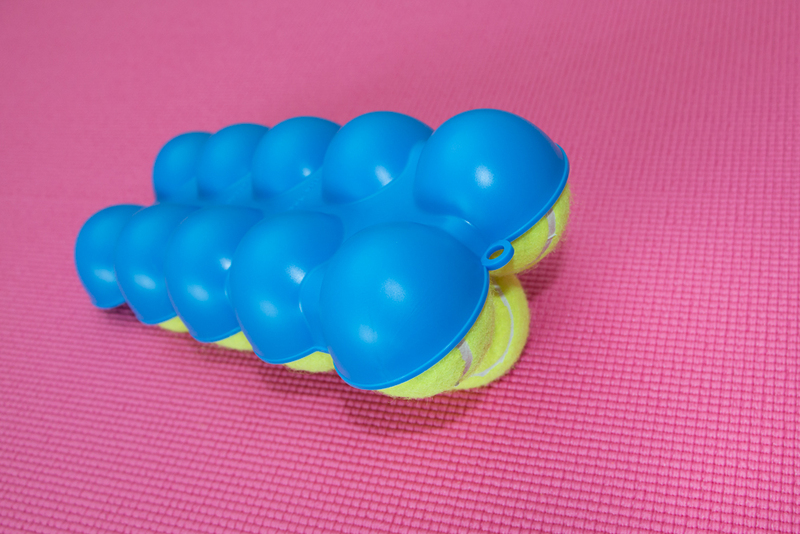 To focus on the upper back, create an incline using two or four tennis balls, and place The Back King™ under the upper back. Then, place your hands out to the sides with your palms facing up, allowing your shoulders to drop towards the floor. In addition, to work the higher end of the upper back, bend the knees with the feet flat on the floor and raise the hips up. This focuses on the upper back and base of the neck areas. The arch reverses that forward curve in the upper back. With The Back King™ elevating the spine off the floor, the shoulders have space to drop posteriorly to the floor. Putting your arms out to the sides, with palms up, will enhance this stretch. With the upper back elevated, the head and neck can be stretched posteriorly by lowering the back of the head towards the floor. If this is difficult to do, place a small pillow under the head until this becomes easy. These stretches further supplement the upper back. Interlace hands behind the back. Raise the hands up behind you, squeezing the shoulder blades together as you push your chest out. Tilt your head back raising your chin to the ceiling. Place one hand behind the head. Place the elbow slightly higher than the elbow against the wall. Rotate the body away from the wall, feeling the stretch in the chest as the elbow moves to the back. 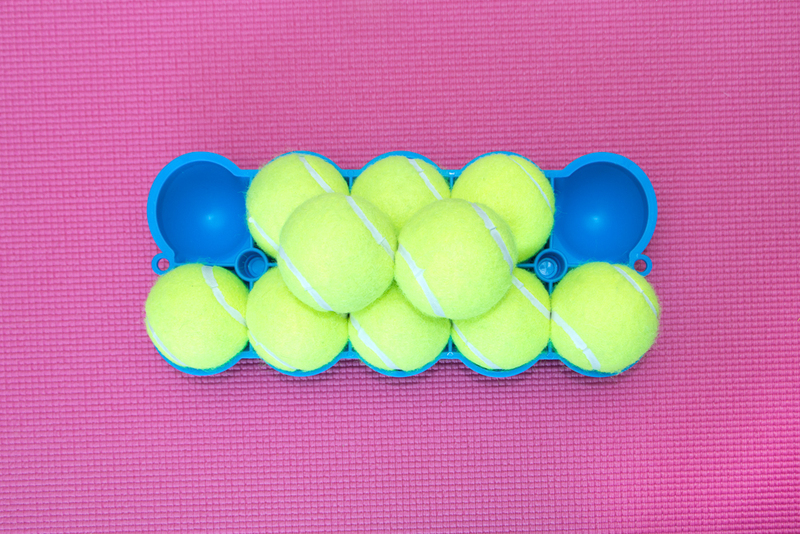 Inserting balls in the underside corners will raise it for a greater stretch. 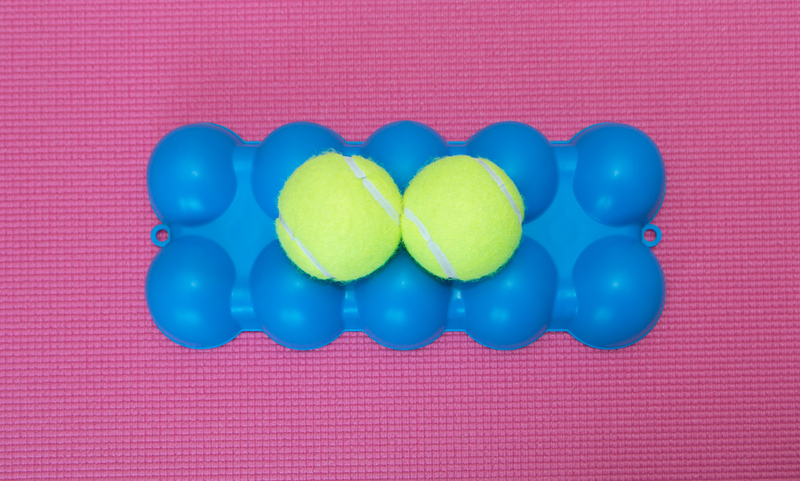 Inserting two balls in the center pockets will allow you to rock back and forth getting movement to the spinal joints. Using the ball side up gives different pocket arrangement options, to better target the hip and lower-back area. 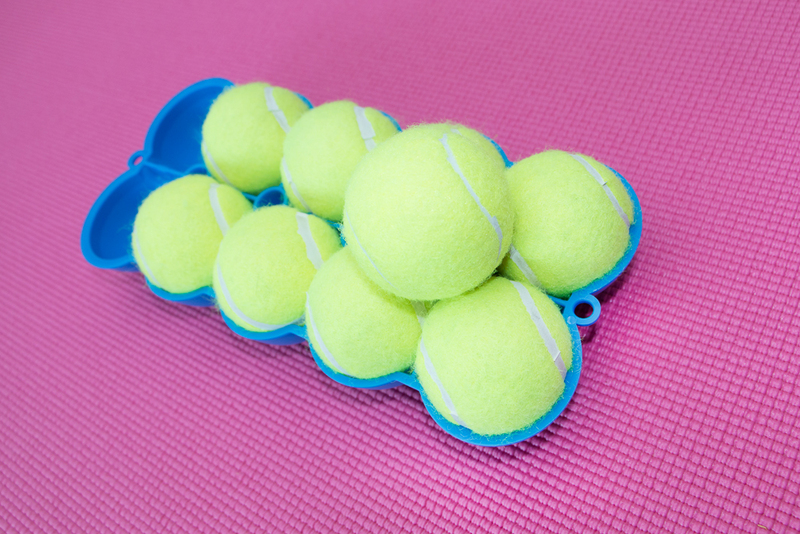 Note: Tennis balls are not included.